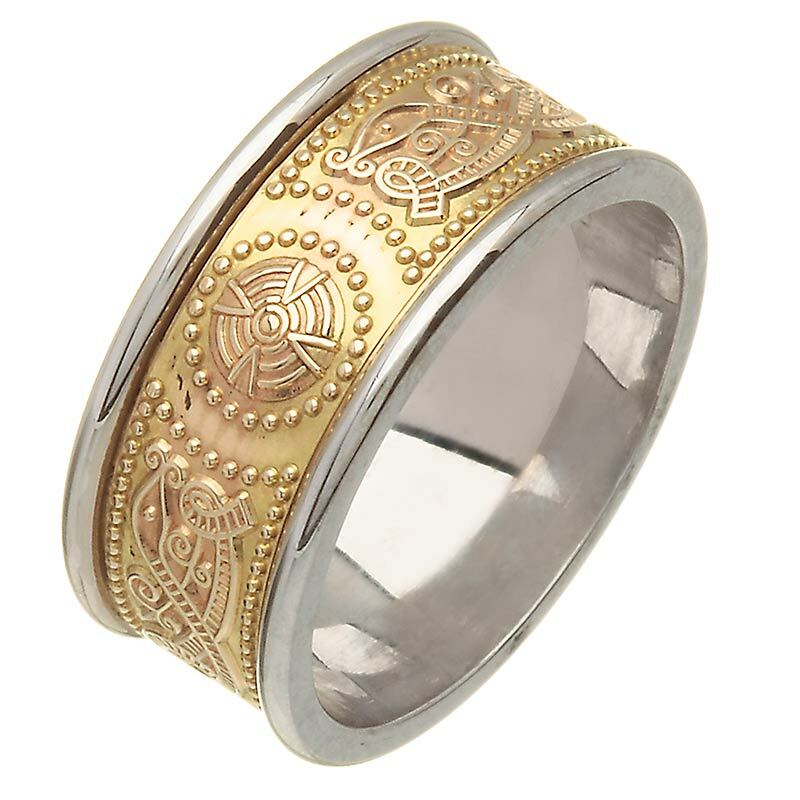 Made in Yellow & White 14 Karat Gold it features the symbols of an Irish WarriorShield - the Celtic Warriors had a code of Chivalry, Respect and Loyalty thatwent all the way back to the days of The Fianna. Free Shipping worldwide and any Import Duty is pre-paid by us - no extracosts for you! Irish Two Tone Wedding Ring - Celtic Knots - 14K Gold.. This is a beautiful Claddagh Band Ring made from 14 Karat White Gold. It has the classic featur..